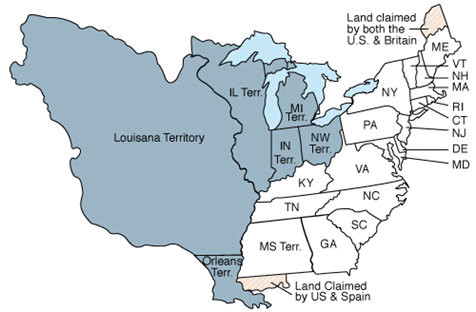 17 states participated the 1810 census, as well as the territories of Illinois, Indiana, Michigan, Mississippi, Louisiana and Orleans. It took approximately $178,000 and 1,100 enumerators to complete the 1810 census, producing 469 total pages in published reports. The U.S. population increased by 36.4 percent from the 1800 census to the 1810 census. What was lost from the 1810 U.S. Census? Original census records were lost for Georgia, New Jersey, Ohio, and the District of Columbia, as well as for the Indiana, Mississippi and Louisiana territories. Illinois Territory and Tennessee also experienced partial losses of their census records. Born Sarah Margaret Fuller in 1810, the writer, critic and women's rights activist, worked as the first woman journalist for the New York Daily Tribune and was also the first woman to act as a foreign correspondent reporting on combat conditions. Fuller also wrote one of the first books about women's equality in the United States. In 1840, Fuller became the first editor of the Transcendentalist journal, The Dial, making her an important part of this writing movement. She is said to have coined the phrase, "I accept the universe." March 3, 1807: Thomas Jefferson signs the act prohibiting the importation of slaves. November 6, 1811: American troops defeated the Shawnee chief Tecumseh at the Battle of Tippecanoe. February 2, 1812: The strongest recorded earthquake in American history (8.3 magnitude) strikes in Missouri. The earthquake is so strong it temporarily reversed the course of the Mississippi river. August 24, 1814: British soldiers occupy Washington D.C. and burn the White House and other government buildings. April 4, 1818: Congress officially adopts the thirteen stars and stripes design for the U.S. flag.